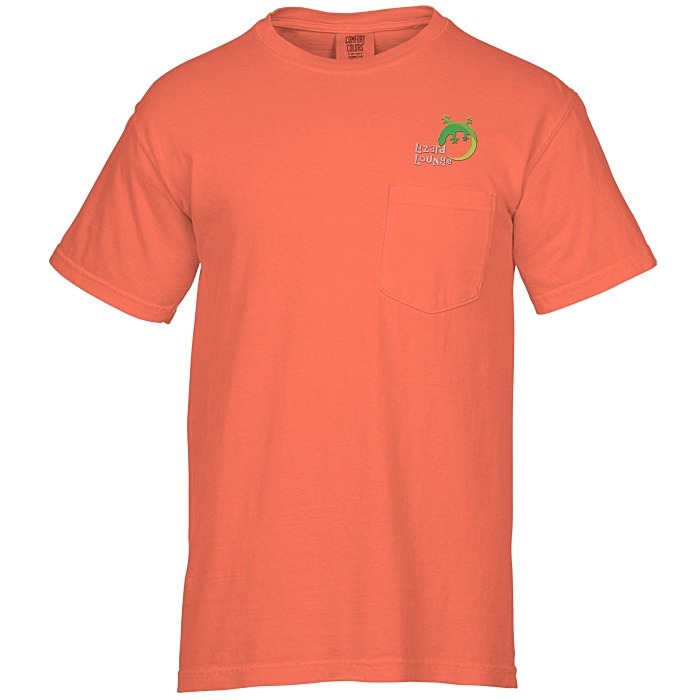 Garment-dyed pocket tees in a wide variety of colors! 27 color(s) to choose from! These Comfort Colors tees are made of 6.1-oz, preshrunk 100% ring-spun cotton. Fabric is soft washed and garment dyed for added softness. Double-needle stitching on the neck, sleeves and hem provide added durability. Classic unisex cotton tee features a left chest pocket, crewneck and short sleeves. One-time tape charge: add $35 for fewer than 72 pieces; FREE for 72 or more!